Snippets of Jack: "Thank You Commodore"
Locked in his little cell at Port Royal, Captain Jack Sparrow makes an agreement to the lovely Will Turner. "Well Mr. Turner, I’ve changed me mind. If you spring me from this cell, I swear on pain of death, I shall take you to the Black Pearl and your bonnie lass. Do we have an accord?" And so their adventure begins, all to save the little "bonnie lass", Elizabeth, from the cursed ship. Jack: "How far are you willing to go to save her?" Will: "I'd die for her." Jack: "Oh good, no worries then." First though, they must get a ship. Will: "This is either madness or brilliant." Jack: "It's remarkable how often those two traits coincide." 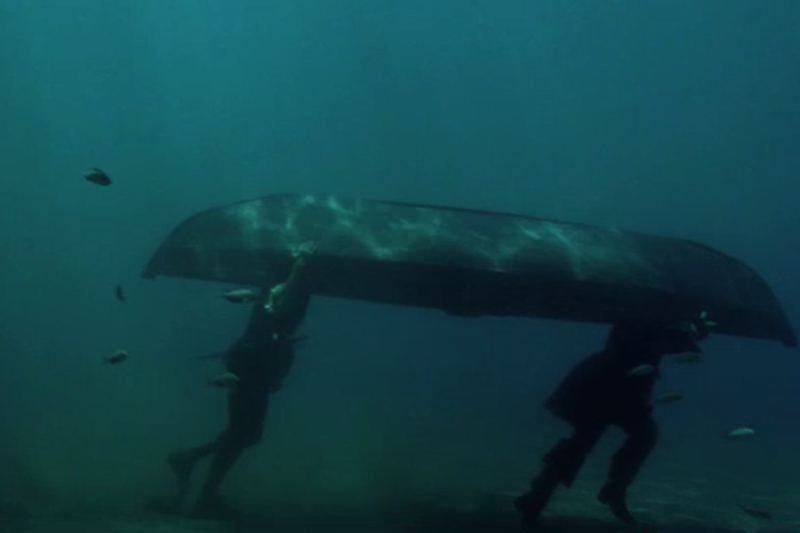 They hide under a row boat under water and swim/walk up to the ship and climb aboard. Sailor: "This ship cannot be crewed by two men. You'll never make it out of the bay." 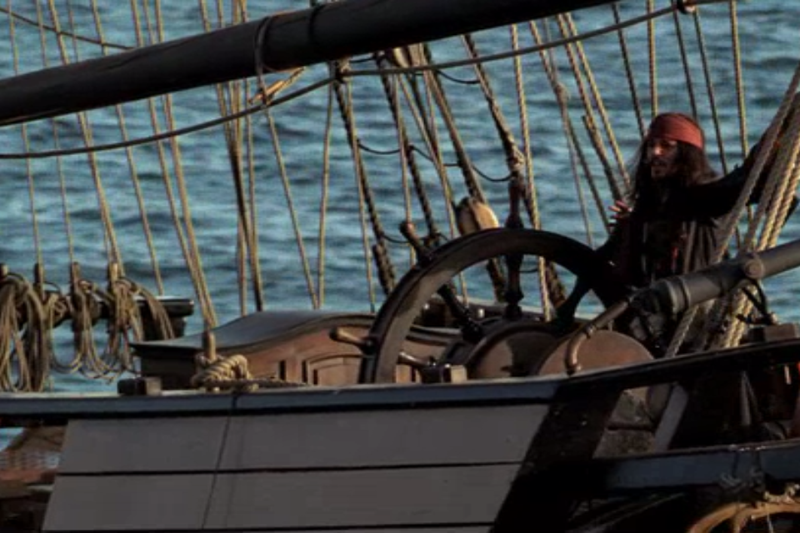 Jack: "Son, I'm Captain Jack Sparrow. 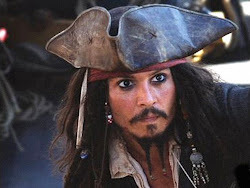 Savvy?" Once their on the ship, they kick them members off, alerting Norrington. Norrington leads his men to take their ship and climb aboard the Dauntless, the ship currently hijacked by Jack and Will. While everyone is searching the Dauntless for them, Jack and Will hop on board the other ship, the Interceptor.